Global Switch and Home Credit are eyeing $1 bln floats in a city which has struggled to attract interest offshore. AB InBev might list its Asia operations too. Rule changes letting the benchmark index include overseas-based firms are one incentive. A thin China pipeline is another. A panel displays a list of top active securities outside the Hong Kong Exchanges in Hong Kong, China February 28, 2018. UK-based Global Switch, a data centre operator, will appoint banks for its Hong Kong initial public offering, Refinitiv's IFR reported on Jan. 25, citing people familiar with the matter. The company is planning to raise $1 billion. It was last valued at $10.7 billion in July 2018, when it sold a 25 percent stake to a consortium of mostly Chinese Asian investors. Global Switch is 51 percent-owned by Elegant Jubilee, a Chinese holding company which counts state-owned Jiangsu Sha Steel Group as a backer. 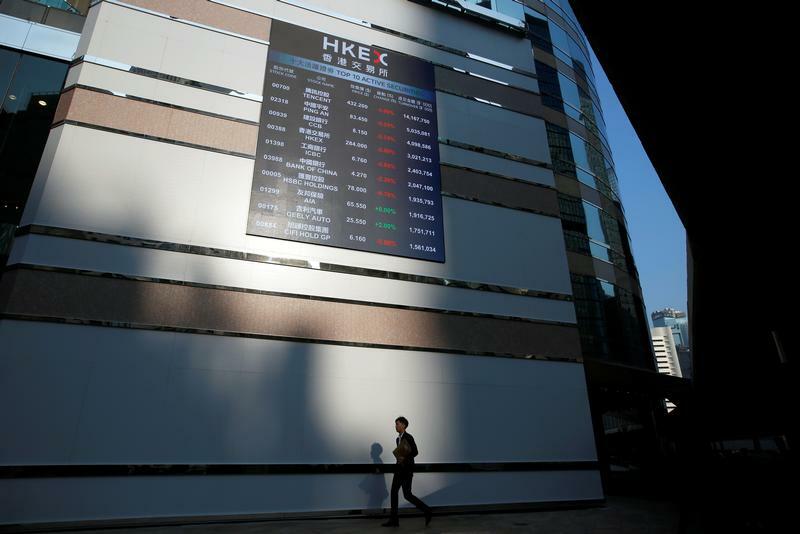 Separately, Czech-owned consumer finance company Home Credit and Erdenes Tavan Tolgoi, Mongolia's state-owned company that owns the Tavan Tolgoi coal mine in the Gobi desert, are also planning Hong Kong initial public offerings this year, according to IFR.